Perhaps it’s because this was the first LEGO game I’ve played on a console. Perhaps it’s because of my love for Batman. 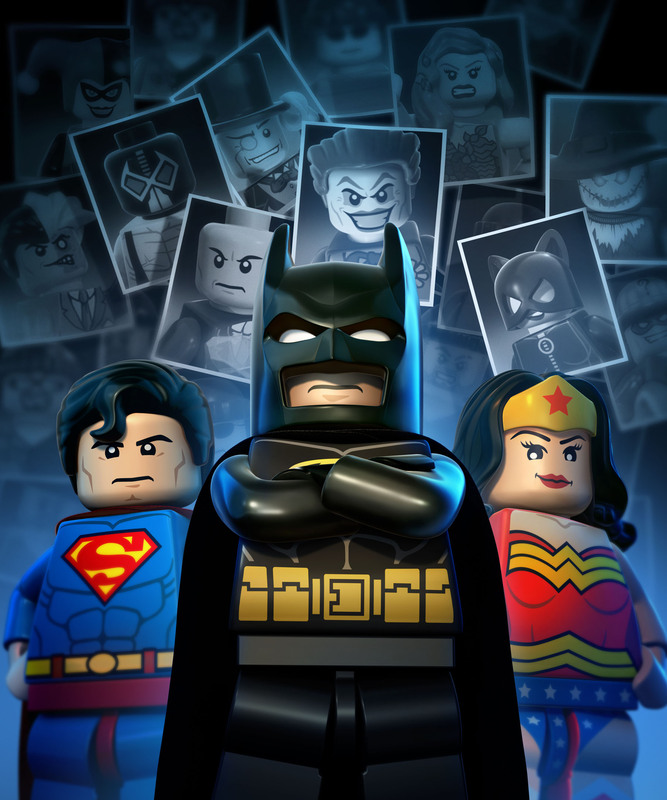 Although this is the first LEGO game I’ve played through to completion, it is by no means the only entry in the franchise I’ve played: Star Wars and the original Batman title have both caught my attention, only for me to quickly get bored by the repetitive structure and awkward platforming. This game suffers from some of the same issues, yet it’s still wonderful to play. Let’s start with the plot. Lex Luthor and the Joker team up, and wreak havoc on Gotham City. Batman and Robin must stop them, but not without the help of some of their Justice League friends: primarily Superman, although other characters are playable (more on that later). The plot is pretty simple, but the game is, at its heart, a platformer, where story isn’t exactly key. The storyline serves its purpose, although towards the end it does become a tad repetitive: each level plays out in largely the same way, with ‘LOOK THERE’S THE BAD GUYS’, then ‘LET’S STOP THEM’, and finally ‘OH NO THEY GOT AWAY AGAIN’. Rinse and repeat. Having said that, the gameplay stops the game from being too repetitive. If I had one major complaint regarding this aspect of the game, I’d say that the pacing was a bit off. I went from one 2 hour long level to one 10 minute level, and that was quite jarring. However, checkpoints are pretty common, so it’s easy to play in short bursts. Now, onto gameplay. The basic mechanics are intuitive: so much so that you won’t find a tutorial anywhere in the game. Combat, which makes up a large part of the game, is handled nicely with some simple button mashing: and this simplicity increases enjoyment ten-fold. Having said that, certain characters and power-ups can switch things up a bit; powers such as bombs or heat vision can rapidly take out enemies. The boss battles generally require a different sort of combat: more thought is required, and these sections feel more like puzzles than fights. Furthermore, the boss battles did not once feel repetitive, and different solutions were required for each battle, something the game has clearly learned from the Arkham series! One thing that wasn’t learned from Arkham, however, is the use of Batarangs and grapple hooks, which are quite awkward in their current state. The majority of the game is based on platforming, interspersed with some very basic puzzle solving: pulling switches, or building grapple points to reach the next part of the level. The puzzles aren’t particularly challenging, but are still entertaining, and are largely solved using the different ‘suits’ available in the game. Batman and Robin, who you’ll play as for the majority of the game, have 4 different suits each, all of which have their own distinct abilities, meaning that switching suits is vital to solving puzzles, as is swapping between characters. For example, Robin may need to use his Acrobat Suit to get to a high point, whilst Batman needs to blow up a door with his Power Suit. Although some suits have been carried over from the previous game, others are new to this title, or are a combination of different suits from the original. Now, I mentioned switching characters. And that’s because there are 50 (!!!) playable characters in the game. By playing through the story mode you will unlock quite a few characters (the majority of the Justice League), and you can find other characters (mainly super-villains) around the open-world city. Yes, that’s right, the game is open-world, a first for the LEGO franchise. 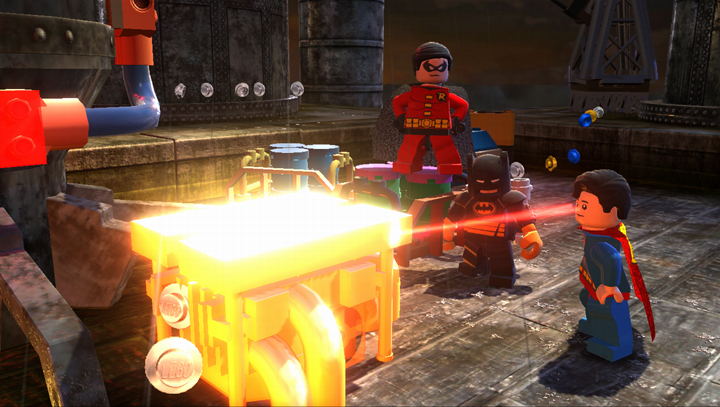 There are two main portions to the game: the platforming style levels, and the open-world of Gotham City, in which you can roam around freely. Once you finish the game, you can choose to play as any character you have unlocked. That means flying around with Superman, or zooming with The Flash, and that, my friends, is probably the best part of the game. The city is pretty massive, and there’s tons to do and explore. As I said before, there are 22 villains in different places around the city. It’s easy to find them all by flying around (it took me about 40 minutes), and then to unlock them you must simply defeat them in a simple battle, and then pay a certain amount of ‘studs’. That brings me to my next point: the studs. Hey, does anyone else see this fire?! As the method of currency in the game, collecting studs is so addictive that at one point I had to force myself to ignore the shiny objects so I could focus on finishing the game. As almost everything, and I mean everything, in the game is destructible, and each time you destroy something you get coins, my OCD kicked in, and I spent hours punching objects to bits, laughing with delight as studs streamed over the floor. And as they’re so easy to obtain, never fear about not having enough. Within half an hour of destroying objects you can have upwards of 20,000! And along with the coins, there are a whole host of other objects to collect: golden bricks hidden around the city, Batman capsules within levels, and more. All these collectibles add a huge amount of replayability to the game, extending the approximately 10 hour long campaign ad-infinitum. What’s more, to get all these items you’ll need to switch characters and suits. A lot. The different characters themselves are really fun, and there are some surprise appearances! General Zod, Sinestro and most of Batman’s rogue gallery are all present, along with some other characters from around the DC universe (Killer Moth!). There are 50 total playable characters, and each has their distinct advantages. For starters, Superman, who is unlocked fairly early in the game, can fly, has heat vision, ice breath, and is pretty much indestructible. In fact, he’s enormously overpowered: and I’m not sure that’s a good thing. As soon as I unlocked him, I played as Superman for as long as I could. With him, any puzzle that would normally require a great deal of suit-swapping can be completed instantly. And although the flight mechanics take a while to get used to, flying around the city as Superman is extremely fun, as well as being a lot quicker than walking or driving. Although other characters have their own abilities, such as Green Lantern’s power to build cool moving objects out of green LEGO bricks, Superman is by far the best. That’s one of the main issues in the game, in my opinion, and adds to the argument as to why a Superman game wouldn’t work: the character is just too powerful. Now, I haven’t really commented on the downsides of the game. Unfortunately, there are quite a few. Although the drop-in/drop-out co-op is a nice feature, I would have liked to see online co-op added too. And the local co-op has one fatal flaw: the camera. Stop trying to blow up the air conditioner, jerk. Oh, the camera. Throughout the entirety of the game, the camera was infuriating, and it got to the point where I was repeating the same section about 10 times because of awkward camera angles. The real shame is this, whilst in free-play in Gotham, the camera is fully controllable, and takes an over the shoulder approach. This is fantastic, and makes the game really fun. Yet during the levels, the camera takes on a fixed position, normally giving you a flat, 2D look at the game-space, a-la Mario (albeit with slightly more depth). And at times this is beyond problematic: not being able to see the exact jump, because you can’t fully see the world in 3D is a right pain. Not being able to walk through a door because you can’t see where it is. All of these small issues add up to make the game really off-putting at times, and that’s a big shame. To make matters even worse, in co-op mode, normal split-screen is not used – oh no, that would be too simple. Instead, the divide in the screen is in constant flux, quickly rotating from side to side, and merging into one screen when the two players are adjacent. It’s nauseating, to be honest, and is a really poor design choice. It adds nothing to the gameplay. If the developers had chosen to implement the standard, over the shoulder camera for the entire game, all these issues would have been avoided. But they didn’t, and the game really suffers for it. Other than that, the issues are few and far between. The graphics are really nice, except for the edges, which aren’t as sharp or defined as they could be. Despite this, the rest of the game is pretty good looking, and the classic LEGO art style remains. I love the way in which buildings have been ‘LEGO-fied’, and this, too, adds to the humour of the game. It’s impossible not to laugh when a giant minifigure statue topples over! The last significant issue is the navigation system, which could have been vastly improved. Whilst roaming the city, there’s a tiny compass at the top of the screen which has a whole host of icons on it, yet none of these icons are explained. The in-game map, too, is lacking, with no real landmarks, and unclear roads. The easiest way to navigate the city is to fly up and get a bird’s eye view: I recommend not exploring Gotham until you’ve finished the game, and unlocked the ability to switch characters at will. All in all, the game is really great fun, and despite a few issues, largely with the camera, it is well worth playing. 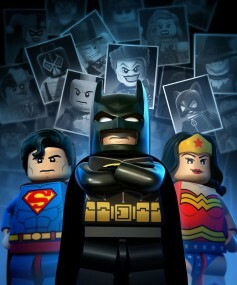 LEGO Batman 2: DC Super Heroes is easily the best LEGO title yet, and well worth a buy. 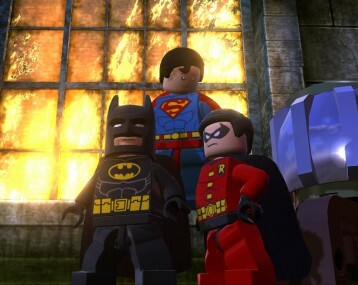 LEGO Batman 2: DC Super Heroes is out now on PC, PS3 (reviewed), Xbox 360, Wii, 3DS and Vita. Review copy kindly provided by Premier PR. Any inspiring talk is absolutely worth the comment. I am you need to generate additional about this theme, the idea will not be some sort of taboo subject despite the fact that regularly people are inadequate to share upon such a issues.